Circomedia operates over two sites. St Paul’s Church in Portland Square is a beautiful, re-conditioned church in the heart of Bristol city centre. For the first half of the week it is home to our BTEC students as well as the Youth Circus and evening classes. From Thursday through to the weekend Portland Square can host a variety of guests such as professional touring companies, student performances, weddings and corporate events. Some classes still run over the weekend and the space houses one of the UK’s only permanent flying trapeze rigs. All shows/performances are held at Portland Square. Walking: St Paul’s is approximately a two-minute walk from Cabot Circus Shopping centre, ten minutes from Broadmead and Bristol’s central bus station and 15 minutes from Bristol Temple Meads Station. Car: There is limited metered parking available around Portland Square which is free after 6:00pm. Alternatively, there is a nearby NCP car park and parking in Cabot Circus shopping centre. Bike: You are welcome to park your bike in the church grounds, there are plenty of railings spare. Please be aware that we have had bike theft from outside of the church previously so please ensure your bike has a secure safety lock. Taxi: A taxi from Bristol Temple Meads Station will cost around £6 one way. The Kingswood Estate is a multi-purpose space owned and operated by the charity Creative Youth Network. Within its buildings Circomedia has two large aerial studios, a gymnasium, a dance studio with sprung floor and two further mixed-use studios, as well as office space and classrooms. Our degree and masters programmes are delivered at the Kingswood site, with BTEC joining them on Thursdays. 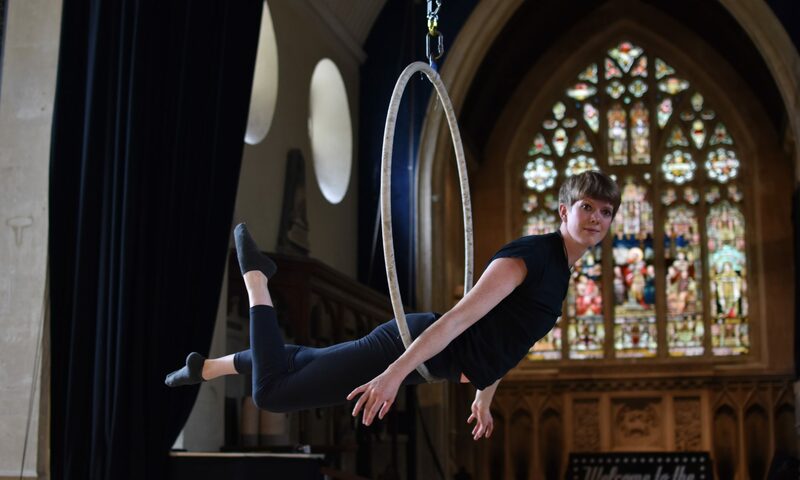 There is also a Youth Circus class on Thursday evenings and some adult classes too. Students can train in the studios at a weekend and spaces can be booked by visiting artists/companies. Bus: By bus number 42/43 from Central Bristol to Bitton, Keynsham or Cadbury Heath are the quickest taking around 25-30 minutes, ask for the Grantham Road stop. Bike: There is a designated bike shed available to all visitors. Taxi: A taxi from Bristol Temple Meads Station or central Bristol costs around £20 one way. Car: There is a free parking available on site and residential parking in the surrounding area if the car park is full. If you are coming to Circomedia for an audition, Open Day or to see a show or attend a class then you’ll need to know how to find us and which site is the right one. All shows are held at Portland Square, as are some classes. Please consult booking information to check at which site your class is being held. All auditions and Open Days (for all courses) for 2018/19 are being held at the Kingswood site. Portland Square is relatively easy to find and can be seen from the Cabot Circus shopping centre. The Kingswood site is less obvious! The addresses above contain hyperlinks to Google Maps, please use those links if you can as some Sat Navs struggle to find it. The entrance to the Kingswood site is on Britannia Rd (which turns into Kennard Rd) opposite Hillside Avenue. 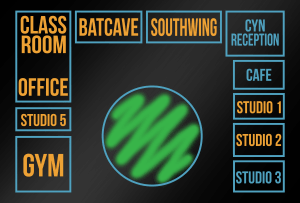 Below is a diagram of the Kingswood site to help you locate individual studios.